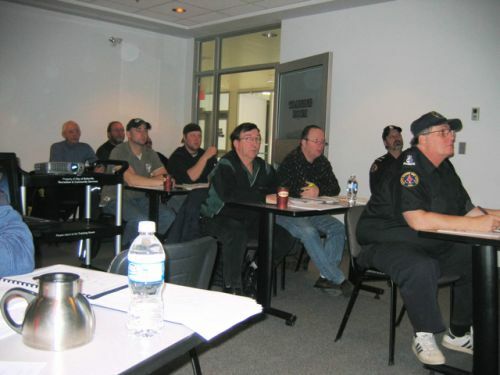 Fourteen trainees from Quinte SAR, Avalon, and the new units based in Brighton and Wellington, attended a SAR course in Belleville delivered by instructors Tim Stezik, Howard Garrod, and Rob Anderson. Thanks again go to the Quinte Sports Complex in Belleville for allowing the use of their facilities for this year´s course. Thanks also go to the "two Petes" for keeping everyone well-supplied with coffee and donuts. 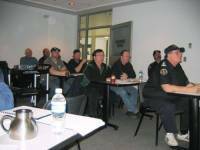 Another SAR course for units in the western part of District 1 is being planned for March.